On May 11th the Philadelphia JUG held it's third successful meeting after the leadership changing of the guard. We were very proud to host my former Oracle colleague Heather VanCura who gave an excellent talk introducing the Java Community Process (JCP). All the details for the talk are here. 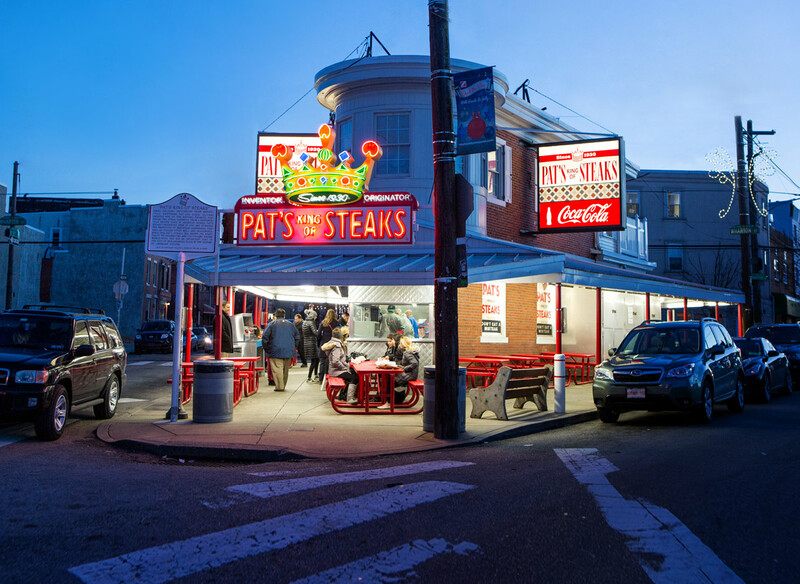 You should note that the Philadelphia JUG is now on meetup.com. This follows in the footsteps of many other JUGs and is a timely transition to a very capable platform. The JUG is now also on Twitter. 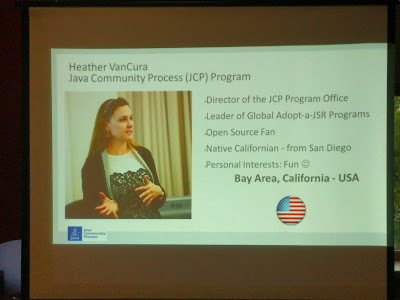 Heather's talk was very well received at the JUG. A number of JUG members expressed interest in actively participating in the JCP after the talk. This is certainly something the Philadelphia JUG can effectively facilitate and we will discuss the topic in the leadership board soon. Heather's slides can be downloaded here. Photos from the meeting are here. It was also very good to see presence from the neighboring Delaware JUG at the meeting. This is the kind of local and regional coordination we are eager to encourage at the Philadelphia JUG. JUG leader Tariq Ali Hook was very impressed by Heather's talk. I offered to give my rendition of the JCP talk at the Delaware JUG. In a similar vein tomorrow I am giving my pragmatic microservices with vanilla Java EE talk remotely on Google Hangout for the Central Pennsylvania JUG. I am grateful to Central Pennsylvania JUG leader Roger Diller for the kind invitation. After the meeting I took Heather to a Philadelphia cultural institution visited by many global luminaries including the commander-in-chief Barack Obama himself for a very late dinner. If you are a long-time Philly resident you will have no trouble guessing I am talking about Pat's King of Steaks - home of the one and only authentic Philly Cheese Steak. We hope Heather enjoyed our characteristically down-to-earth but sincere hospitality. It's nothing fancy but it's Philly. The Philadelphia JUG has a similarly great lineup of talks setup all the way to Fall. Please do stay tuned and help make the JUG all that it can be. We are trying everything we can in the leadership on your behalf to move the JUG onward and upward.